Examples abound of how charities like yours can benefit from Halloween. Take, for instance, the Beaver County Humane Society in Center Township, Pennsylvania, which raised $15,000 last year by transforming a trail on their property used for walking pets into a “Beastly Haunted Trail“ open every Friday and Saturday night in October. The attraction draws visitors from several neighboring states. 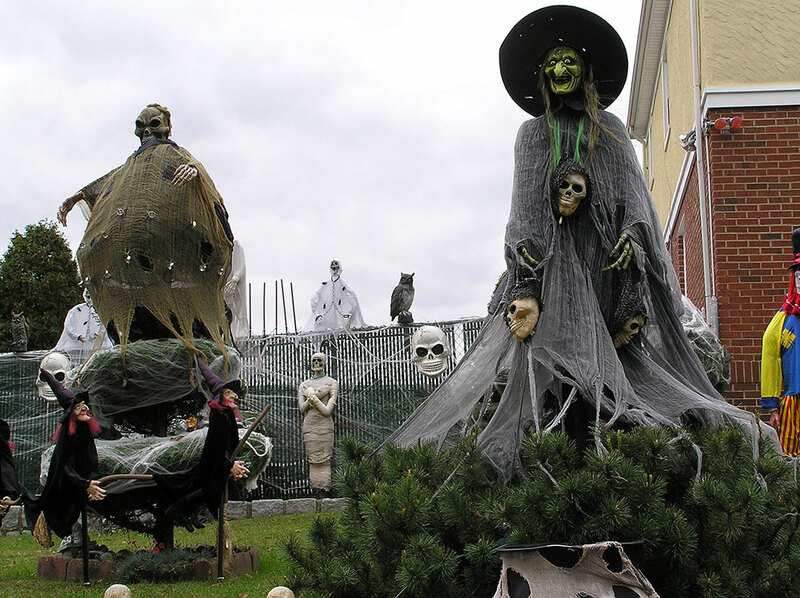 Houses, farms, trolleys, and a steel mill are among the more than 25 sites in the same region transformed for Halloween, most for the benefit of local charities, typically designed and staffed by amateur actors and other volunteers. One of the most successful is the Hundred Acres Manor. During its 13 Halloween seasons, the attraction in Allegheny County’s South Park has raised about $1.5 million, including $800,000 for the Homeless Children’s Education Fund, based in the Strip District, and $600,000 for Animal Friends in Ohio Township. Added to the mix two years ago, the Western Pennsylvania Chapter of the Leukemia and Lymphoma Society has received $8,000. This was no easy feat. This attraction was founded in 2004 (when it raised $5,000) by two board members of the Homeless Children’s Education Fund. Hundred Acres Manor eventually became its own nonprofit. Volunteers begin work on the project in July, and about 40 percent of the scary features are new each year. It’s a one-mile maze through six themed attractions in which 65 amateur actors scare visitors in creative ways. Up to 12 school districts commit their drama students to the effort. The Travel Channel named Hundred Acres Manor one of the top Halloween attractions in the country. The Travel Channel list offers good ideas for how your charity might transform a space in your community into a signature event. Of course, UNICEF has long championed Halloween with its Trick-or-Treat campaign. Trick-or-Treat for UNICEF began 66 years ago as a way to help kids still affected by World War II. Since then, millions of children across the United States have gone door to door on Halloween with UNICEF collection boxes, calling out, “Trick-or-Treat for UNICEF!” The annual tradition of Kids Helping Kids®—involving donations big and small—has helped to raise more than $175 million since 1950. Haunted House Parties. Let the hosts and their volunteer committee design the event and invite their friends for the benefit of your charity. “Zombies crawl out of their graves to terrorize the human population.” Thrill the World, founded in 2006 in Toronto, is a global dance event to the song “Thriller.” Each group raises funds for a local charity while honoring Michael Jackson. Thousands of participants are as far flung as Malaysia, Turkey, Russia, Romania, Japan, Columbia, Tasmania, and Rwanda. They synchronize their dance at exactly the same time. (This year’s was at 10 PM on October 29th.) Here is one among many YouTube videos of a group dancing to the six-minute song a few days ago. Equal Exchange, a worker–owned cooperative, offers Fair Trade Your Halloween Kit. A local law firm produces Akron, Ohio’s largest annual costume ball for the benefit of local charities. A North Carolina marketing firm created an annual pumpkin-carving contest called GUTS for the benefit of Make-A-Wish. Lastly, here’s a list of 258 Halloween events in New York City. Some are for the benefit of charities, but all of them offer ideas your charity can borrow next year. The list goes on because Halloween is big business. According to the National Retail Foundation, more than 171 million Americans will spend an average $82.93 on Halloween in 2016, up from last year’s $74.34, totaling an estimated $8.4 billion. “The survey finds that 7 in 10 consumers plan to hand out candy, and nearly half will decorate their home or dress in costume.” Here are many more highlights of their annual survey. No review of the nation’s Halloween events could be complete without noting New York City’s Village Halloween Parade, now in its 43rd year. This event (today at 7PM) showcases the creative spirit of the city along 6th Avenue in Greenwich Village in the form of giant puppets, neon-colored floats, and thousands of participants in their own amazing costume creations. It’s regarded to be the world’s largest annual Halloween parade. Ralph Lee, a Greenwich Village mask-maker and puppeteer, founded the parade unintentionally in 1974. The Parade began simply as a walk from house to house in Lee’s neighborhood for his children and their friends. By the third year, the parade formed itself into its own small nonprofit group, led today by artistic director Jeanne Fleming.